Raj Ghosh has over 20 plus years of experience as a proven leader and “Intrapreneur” with a track record of defining and driving transformational change and delivering significant operational and financial results across multiple industries and functional disciplines. 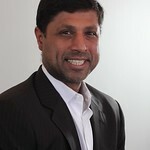 Most recently Raj was the Chief Procurement Officer at Cognizant Technology Solutions and lead their Corporate Function Transformation Program, reporting to the President and CFO, tasked with scaling their people, processes and technology which allowed the company to handle the growth from 80k employees to 270k employees in 6 years. Prior to Cognizant, Raj lead AIG’s General Insurance Group’s Global Finance Operations Center of Excellence which lead the Global Finance Organization’s Redesign for the CFO/President and defined and implemented their Global Shared Service Strategy. Raj also served at Mckinsey and Company for 6 years culminating in joining the Operating Committee of the Knowledge Services Practice which was responsible for redesigning the knowledge infrastructure and operations supporting the core consulting model and leveraging those learnings to provide services to global customers. Raj began his career at Deloitte and Touche, where he received his CPA and was part of the Financial Services Practice and the M&A Advisory Group. Raj holds undergraduate degrees from NYU’s Stern School of Business and an MBA’s from Columbia University and The London Business School. He is a Certified Deal Architect for University of Tennessee’s Vested (Outcome Based, Collaborative Contracting) Program. Raj lives in the College Station, Texas with his wife and two daughters. 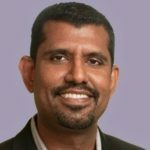 Jagan A Reddy is a senior executive with 20+ years of strategy and complex business transformation experience in global supply chain solutions companies, ranging from $10M to $1.1B in revenues. With broad based experience in large operating roles across business development, customer management and product management areas, he applies take-charge leadership skills to drive high-level strategy in fast-moving environments by building high performance teams and, creating cross-organizational alignment and commitment to the strategy to realize growth, profitability and operational goals. Most recently, Jagan was Executive Vice President as part of Software as a Service provider IQNavigator’s executive team overseeing the multi-year transformation of the technology company to growth and profitability. Prior to IQNavigator Jagan held a range of leadership roles at RedPrairie Software and JDA Software. As SVP and GM, he held P&L responsibility for a large Business Unit delivering best-of-breed supply chain, workforce, and all-channel retail solutions. Earlier positions at RedPrairie include VP, Customer Solutions and Director, Products. Jagan began his career at supply chain software provider, McHugh Software where he held product development and sales support roles. His education includes M.S., Systems Science with an emphasis on Computer Science from Louisiana State University. Verlyn Suderman has over 25 years of experience advancing clients’ business objectives, primarily as an inside and outside lawyer, but always as a business partner who helps rather than hinders the formation of healthy relationship dynamics and identifies and evaluates risk in the context of opportunity. 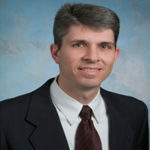 He has spent much of his career as General Counsel of major third-party logistics providers who served customers in the food, CPG, healthcare and other industries, and he continues to represent a variety of supply chain companies as outside counsel in addition to his management role with The Forefront Group. He also had leadership responsibility for real estate, strategy, relationship management, pricing, regulatory, and operations during his in-house tenure. Verlyn holds undergraduate degrees from Wharton in Finance and Management, a law degree from DePaul, and an MBA from Kellogg with concentrations in management, transportation and logistics, and nonprofit management. He has completed University of Tennessee’s Executive Education courses in Vested Outsourcing and Collaborative Contracting. He is a member of the Board of Willow Creek Community Church, and lives in the Chicago suburbs with his wife Julie and their three children.